Bahrain, comprising more than 30 islands in the Arabian Gulf, is a renowned trade hub. Its currency is Dinar, which holds the crown of the second highest valued currency unit in the world. The country’s capital is Manama which is home to several huge financial structures. The Index of Economic Freedom has titled Bahrain as one of the freest economies in the entire Middle East and North Africa (MENA) region and the 10th freest economy in the whole world. It does not stop here; Bahrain was also recognized as a high-income economy by the World Bank, which gives you every reason for doing business in Bahrain. So, now let’s go through various benefits of setting up a company in Bahrain and explore the investment opportunities in Bahrain. Bahrain has the fastest growing economy in the Arab world. It is considered as a high income economy and has a high Human Development Index ranking 48th in the world. It is also regarded as the freest economy in the whole Middle-east. If you live in Bahrain or plan to shift to Bahrain and start your business there, here are a few advantages of investing in Bahrain that may push towards your decision and do it faster. Bahrain has the second-highest valued currency in the world. 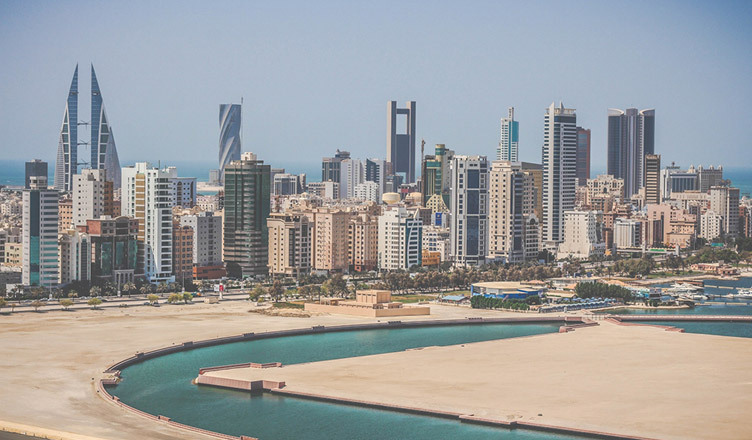 Also, the nation’s single window administration and state-of-the-art infrastructure encourage all types of businesses to come and establish a company in Bahrain, thereby making the place a very lucrative destination for foreign direct investment. Bahrain is very welcoming for foreigners. The nation offers quick and easy visa regulations, multiple business opportunities, and various other beneficial factors which add up to the promotion of foreign investment. Bahrain tax functions on a very favorable and business-friendly framework which offers 0% personal, corporate, withholding, VAT and capital gains tax along with no transfer pricing charges. In Bahrain, the government takes steps in order to promote businesses by subsidizing fuel, water, and electricity. Bahrain offers 100% foreign ownership for Bahraini/GCC citizens and companies. Bahrain sports a modern infrastructure along with an excellent telecommunication network. After petroleum products, aluminum production is the second largest contributors to the economy of Bahrain. Other sectors that contribute to growth of the economy of Bahrain are the financial industry and the construction industry. Here are a few business opportunities for you to consider while setting up your company in Bahrain. One of the viable and lucrative businesses to start in Bahrain is a restaurant business. But also know that, since Bahrain is a core Islamic country running bars alongside a restaurant is a strict no-no. So ensure that you do not run a bar alongside your restaurant. The real estate industry is growing day-by-day in Bahrain. Bahrain is known for the production and exportation of construction material. Any investor interested in the market will make a fortune out of the construction company. This goes hand-in-hand with the 2nd point. With many real estate developments being sold off plan and many more upcoming projects in all real estate sectors, thinking of opening an interior designing company will pay off. There are many hotels, restaurants, homeowners desperate in need of cleaning services. You must know that the cleaning service requires a thorough search for qualified and well-trained individuals; however it is one business in Bahrain which is bound to get more profit. This is yet another thriving business in Bahrain. This type of business is easy to set-up and enjoys high patronage if it is properly placed. All you need to do to establish this type of business in Bahrain is to rent a store and then source for wholesale distributors of commodities that you can stock your store with. This type of business will take off and bring more profits if you have prior experience in the financial field. Banking sector in Bahrain is one of the most sought-after and thriving. You can choose to start a tax consultancy service or if you have a large financial base you can consider starting your own bank. This business idea can be considered if you are a trained doctor and looking for practicing your own service in this field. Bahrain is open to doctors from all over the world especially from african countries like Nigeria. BIW in Bahrain is one of the largest development projects in Bahrain and is the one and only industrial park in the whole kingdom which is privately owned. This industrial park spans an area of 1.7 million sq. metres and is situated in the newly developed Al Hidd Industrial Development Zone. This project possesses mixed-use industrial, business, logistics, information technology, commercial and residential development estate along with the aim of expanding Bahrain’s SMEs in areas such as textiles, rubber and plastics products, light electronics, fabricated metal products, electrical machinery, paper, chemicals, and furniture. The Khalifa Bin Salman Port is a premier transshipment hub for the Northern Gulf spanned at an area of 110 hectares inside the Hidd Industrial Area and is only 13 kilometers away from the Bahrain International Airport and is also connected to the route leading to the King Fahad Causeway. It offers sea freight, shipping, and logistic services according to the highest international specifications and standards in the industry. The port aims to foster several economic sectors, specifically the commercial, industrial, and investment sectors in the Kingdom of Bahrain. The Bahrain business centre provides a productive environment by offering facilities like short-term contracts, business consulting services, office space in low rates, online real estate on BBIC website, exhibitions, etc. BDB promotes entrepreneurship in the kingdom of Bahrain by contributing to the finance and development of SMEs. It encourages entrepreneurship and innovation by providing advisory services to Bahraini professionals, enterprising women and ambitious youth. Bahrain is a fostering economy in the Middle East, and offers a wide spectrum of business opportunities. The major industries, like hydrocarbons production, refining & marketing industry, the manufacturing industry, the aluminum production industry, the engineering industry, SMEs, tourism, and real estate development, act as a gateway to success in Bahrain. If you are looking to set up a business in Bahrain as a foreigner, do contact us as our advisors at Business Setup Worldwide are here to assist you with the drill.